Photography has always been both a fun and useful skill: Formerly, dads carried large camcorders to capture their children’s school plays; vacationers enjoyed taking (and showing off) the picturesque photos of their exotic trip; journalists took photos that spoke truth to power. Photography still has these roles, but the methods have changed with technology. If you feel left in the dust, consider online digital photography courses as a way to catch up with the times. Most modern photography is digital. Traditional photography was based on light causing a chemical reaction on a film of light-sensitive crystals; the film had to be processed in a dark room to get an image. Of course, visible light is still an important element in photography, but now all stages of the image processing happen digitally. That is, the visual light data is electronically converted to numerical form such that a computer can render the image. Consequentially, smartphones and computers can have excellent digital cameras, and they can display, store, and edit photos. There are many different types of software for smartphones and computers that you can use to store, organize, and edit digital photos. While smartphones have considerable photo-taking and photo storage capacity, most professional photographers have a digital camera – known as a digital single lens reflex (DSLR) camera. To the non-photographer, it may seem that the smartphone has all of the features of a good digital camera and so there is no reason for anyone to have a digital camera anymore. 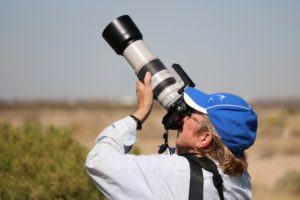 However, digital cameras actually do offer greatly enhanced features that even amateur photographers greatly value: They offer better resolution, more zoom and flash options, and features to reduce blurriness. Also, if nothing else, having a device dedicated to photos reduces the chances of running out of memory or ending up with a low battery in a situation where you really want (or need) to take photos, or in an emergency situation. Digital photography is a skill that can enhance both your personal and professional life. Social media has made digital photography all the more important for advertising and message-spreading purposes. Being able to take especially great photos makes you both the hero of the home and the office. However, digital photography is one of the many skills that have this potential. Udemy is a site that offers online digital photography courses, along with courses in other similarly practical areas. There are courses in IT, business, marketing, tech design, and career development. There are even courses in artistic areas such as music, architecture, and fashion. There are life skill courses such as fitness, health, home improvement, and first aid courses. While Udemy is more of a practical skills site than an academic degree site, there are some courses in middle school to college courses: English grammar, languages (Spanish, French, Japanese, etc. ), math (algebra, calculus, etc. ), psychology, college preparation, religion, psychology, medicine, and more. These courses are a great way to firm up areas of weakness and to enhance one’s personal and professional resume. Udemy is the perfect site for those who want to keep learning but insist on their learning having practical value. The courses are all aimed at giving you applicable skills as quickly as possible – whether for school, home, hobby, or career. The courses are all for a price, but that price is very low compared to the relatively high price of education in today’s time. Also, you get lifelong access to any course you have paid for, a social-media-shareable certificate of completion, and lifelong access course material on the Udemy app. 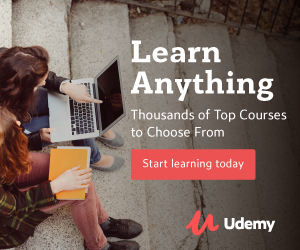 Udemy’s great value is likely the reason that many businesses, such as PayPal and Pinterest, have purchased access to the platform for their employees. The site is a great way both to upskill and to enhance your life as an individual. One of Udemy’s most comprehensive photography courses is the Easy DSLR Digital Photography Course for Beginners. In a way, the title is overly modest – most students find that this course is the perfect way to firm up the basics of DSLR camera use and progress to the intermediate level. The course promises to free you from the AUTO option of camera modes. You will know how to choose the ideal flash setting, white balance, shutter speed, and more. (White balance is the technique of making white objects appear white in a photo, even if the lighting would otherwise render them a different shade. Shutter speed is the length of time the camera lets in light while taking a photo.) The course also covers basics such as ideal camera accessories; the optics that make photography work; and composition, the placement of objects to be photographed. Digital Photography for Beginners with DSLR Cameras is another great choice for beginner/intermediate DSLR users. Much like the course above, it offers both technical and artistic advice. There is instruction in photography basics – managing depth of field (how far in the distance objects appear sharp), creating a good image in both low and bright light conditions, composing objects for ideal balance, and expressive backlighting. 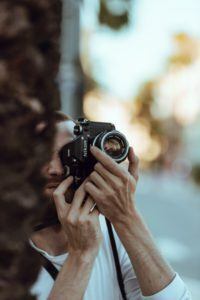 It also covers such essentials as how to hold/support your camera, which lenses for your interchangeable lens camera to use in different situations (and the proper way to change lenses), and how to recognize great opportunities to take a photograph. If you have any type of Canon EOS but are not sure how to use it, the following course caters perfectly to your needs. Beginner Canon Digital SLR (DSLR) Photography especially covers such topics as the connection between aperture, shutter speed, and exposure – and how to change the aperture to fit different situations. You will also learn the difference between the modes (AUTO, P, S, A, and M) and how to choose the ideal mode for a situation. The course also covers different causes of blurring and how to control them. Nikon DSLR for Beginners is a similar sort of course as the Canon course above, except that it is for Nikon DSLR cameras. (If you are unsure whether your camera qualifies, note that the course is suitable for all Nikon cameras with a D in the model number.) The course covers the same concepts as the Canon course in a similar fashion. In fact, it is taught by the same instructor, JP Teaches Photo – a teaching company headed by two highly published and award-winning photographers. Easy DSLR Digital Photography Course: Advanced is the follow-up course to the Easy DSLR course mentioned first in this section. As its name suggests, it is for those who have completed the beginner course or those who are experienced but would like to improve further. There is enhanced coverage of different basic types of photography: portraits, landscapes, night photos, and wildlife photos. There is instruction in impressive feats of photography, such as time-lapse, macro photography, cinematic filming, HDRI, and advanced editing techniques. Time-lapse is when photos or videos taken over a long period of time are edited into one short video; the most common example is a night sky with the movement of the stars sped up. Macro photography is the creation of photographs that are many times larger than the original subject; such macro-photographs are frequently used in biology textbooks, for example. HDRI is High-Dynamic-Range Imaging – a technique to change the apparent luminescence of light sources in a photo to better match the way the human visual system would process them in real life. 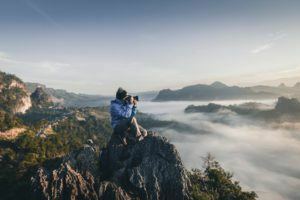 Online digital photography courses like these are a quick, engaging, and economical way to gain photography skills, even for those pursuing professional status. Advanced photographic techniques might enhance your pursuit of other hobbies, such as astronomy, bird watching, and exploratory hiking. An increasing number of foodies see photographing their food as being just as important as tasting it. Modern concertgoers almost all want to take photos and videos of the performer and the stage. Photography plays a different role in each person’s life, and so how much time and energy you give to learning about your camera’s capabilities is up to you. However, most people will find that getting a few beginner tips helps in daily life. Digital photography is so frequently misused. Advanced zooming, along with endless editing options, makes image manipulation easy. In fact, a manipulated image can manipulate other people – and potentially mislead them. Similarly, drones allow photographers to take photos and videos from on high. This potential to gain access to what would otherwise be private is unprecedented. Photos on social media seem to spread ideas faster than one would think possible. In a sense, photographers have more power than ever now, so they need to be sure they are using that power for good. Thankfully, most professional and amateur photographers are not dealing with these issues. For most of us, it’s about getting a photo or video that is enjoyable to see and allows you and your loved ones to relive a wonderful experience – or perhaps you want to take a photo to advertise your business, place-of-work, or charitable organization. Ultimately, photography is a technical and artistic way to express yourself.